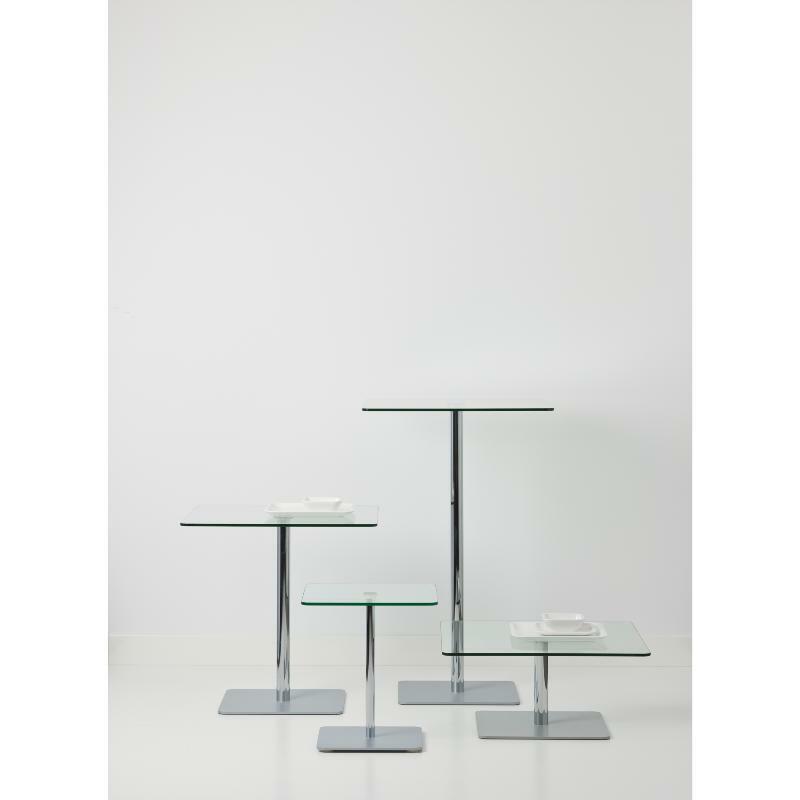 Contemporary Glass Tables. 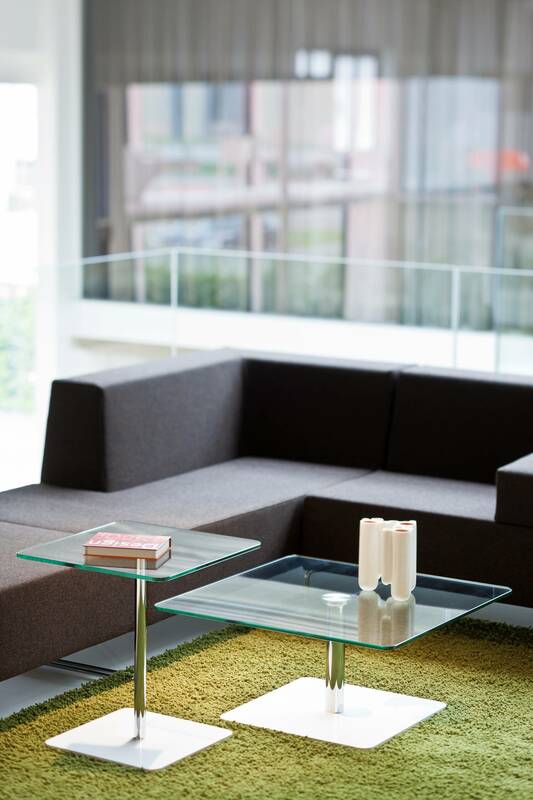 Square Top. 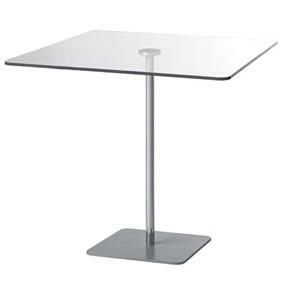 Stylish glass table with tempered glass top, chrome stem and silver base.